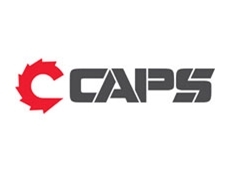 Caps Australia has announced that it has established a regional office in Ghana in order to enhance sales and maintenance activities in support of mining operations in West Africa. West Africa Operations Manager for CAPS, Greg Baldwin, notes that there were many reasons for the company to open an office in the Ghanaian capital of Accra. "We were looking for growth and diversification outside the Australian markets," he comments. A significant part of CAPS' West African business is after-market servicing, maintenance and spare parts. Now that it has established a local office, the company no longer needs to rely exclusively on equipment that is shipped from Australia. Being closer to suppliers in Europe and east coast USA, CAPS can now order equipment and have it shipped directly to Ghana for assembly and commissioning. In addition, the new Accra office will enable CAPS to more effectively and efficiently service the maintenance and repair contracts of its customers. 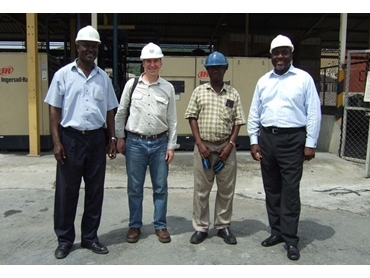 "With the growing number of installations in Ghana and neighbouring countries, it is no longer practical to fly a service engineer in for a few days to do a single job and then fly him home to Australia," Baldwin explains. "Even if we line up several service jobs in a row and have the technician in country for a couple of months, it is still not the best use of resources and is still expensive for the customer," he adds. The office will utilise the experience of expats and a recently appointed Ghanaian Sales Manager with many years of experience in the mining industry around the world and a thorough knowledge of local customs. CAPS does anticipate many physical and cultural challenges in establishing the new office. The poor condition of many roads in the area, for example, means that travel to some of the remote mine sites can take up to eight hours, even if the site is only 200km away. According to Baldwin, the company is also very conscious of cultural differences. He notes that "you can do technical business with the expat mining community, but staff must also live and survive in the local community. The cultural sensitivities are very much part of the landscape, from the local handshake to the form of address to people of different seniority and status in society." Baldwin concludes by explaining that despite these potential challenges, the establishment of the Accra office, and reduced number of competitors, will allow CAPS to be in the best position to meet the rapidly growing demands for compressor sales and servicing throughout the region.